Even The Rain (Tambien La Lluvia) 1hr. 44min. 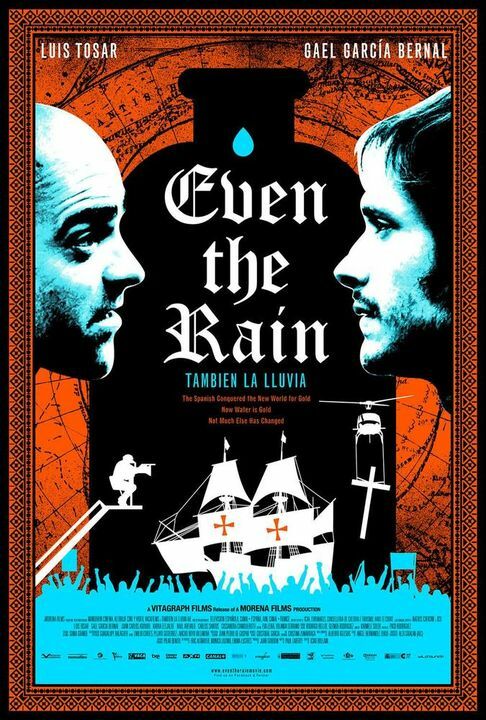 Focuses on Sebastian and Costa, obsessive filmmakers who, in their quest to uncover the myth of Christopher Columbus and resistance to colonial power by Indian rebel Hatuey, ultimately end up embroiled in a modern revolt against Western multinationals in the Bolivian "water wars" brought on by the forced privatization of Bolivia's leading public water companies in 2000.